U.S. gains 200,000 jobs in December! WASHINGTON (MarketWatch) — The U.S. economy added 200,000 jobs in December and the unemployment rate fell for the fourth month in a row, the government said Friday, in a fresh sign the economy is picking up and businesses are more willing to hire. 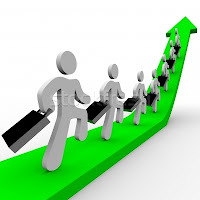 The increase in jobs last month — the fourth biggest gain of 2011 — suggests the U.S. is entering the new year with renewed vigor. Faster hiring puts more money in the hands of consumers and usually leads to an increase in spending. That’s a big deal since consumer spending accounts for as much as 70% of economic growth. The unemployment rate edged down to 8.5% from an upwardly revised 8.7% in November, the Labor Department said. The U.S. was expected to add 150,000 jobs and the jobless rate was forecast to rise to 8.7% from an initially reported 8.6% in November, according to a MarketWatch survey of economists.